"White Christmas" Fannette Island in Emerald Bay. 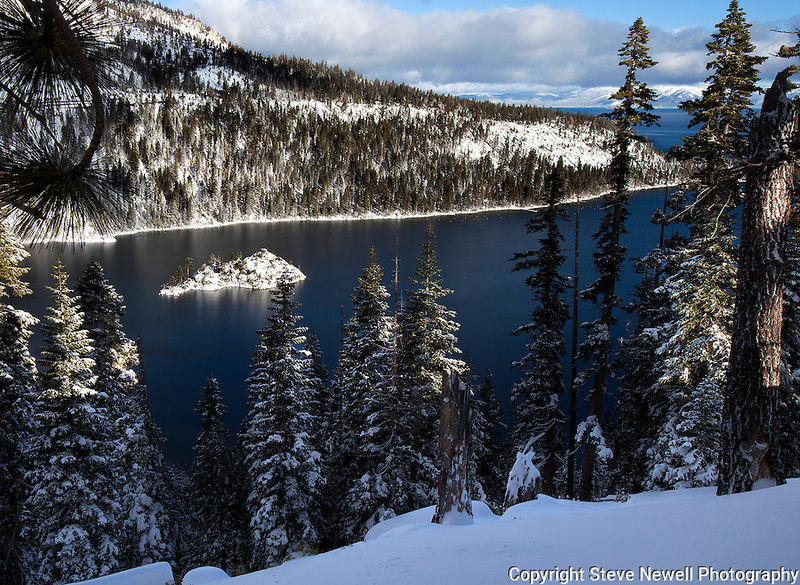 I hiked out to Emerald Bay on Christmas Eve 2012 after a fresh snow storm. I had to break trail in the deep fresh snow and I was rewarded with this view. Lake Tahoe in the winter is spectacular when covered with fresh snow. For many here at the lake this was a fantastic Christmas present.